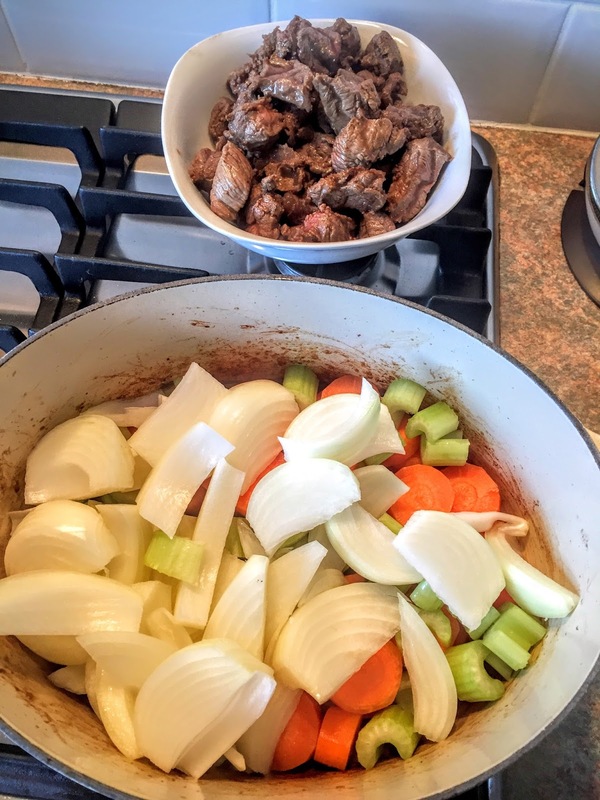 There's nothing quite like the smell of a stew simmering gently in a pot on the hob to bring everybody to the table, especially when the weather is so changeable and can't decide if sun or snow is on the way. Sunday afternoons are the perfect time to make a stew as you've time on your hands and chopping a pile of vegetables is remarkably therapeutic. 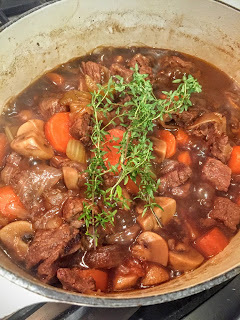 Stews are perfect lazy food as they're always easy one pot meals, saving on a mountain of washing up. Just team them with a pile of creamy mashed potatoes and dinner is sorted. I love that they're great value for money as you're using inexpensive cuts of meat, which, when slowly cooked, turn into a deliciously tender meal. We're basically going back to peasant food, but in a modern style. You can also turn a stew into a pie filling - make sure you reduce the sauce if it's a little thin* and just top with your favourite pastry. Traditionally, Guinness is the beer of choice in a stew like this, but I decided to keep it local and use a red ale from Wicklow company O Brother Brewing. It's the perfect match to beef and mushrooms. 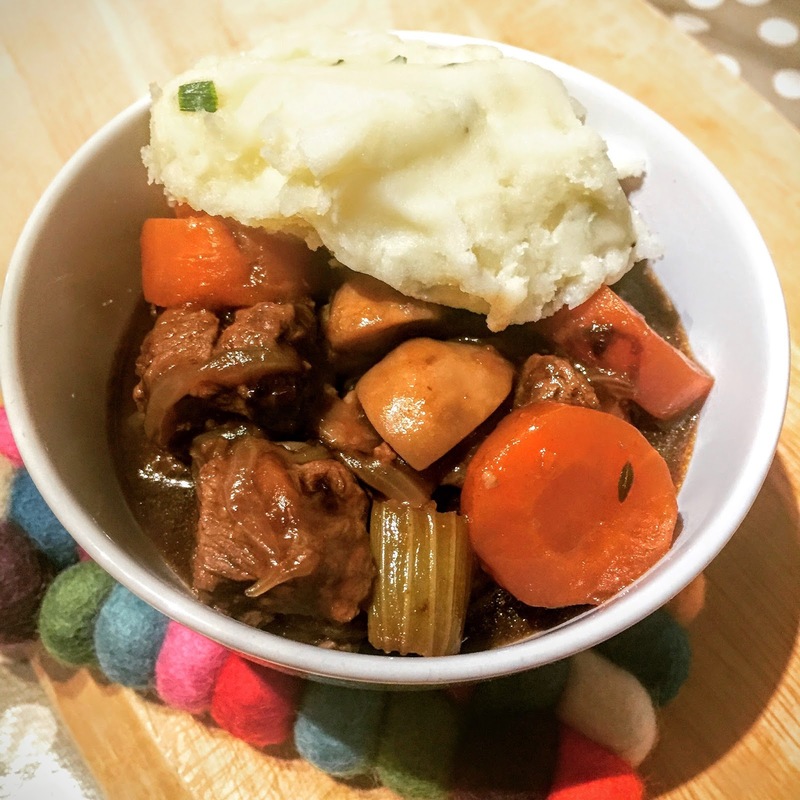 Why not make this stew with a local beer or ale from your area? Heat the oil in a large casserole dish and fry the beef in two batches, making sure it's browned on all sides. Transfer to a bowl and set to one side. Fry the carrots, celery & onions in the dish, making sure that you scrape the beef residue from the base and sides of the dish, for about 7-8 minutes. Pour in the ale, add the stockpot and bring to the boil. Reduce to a simmer and add the mushrooms & thyme. Cook for 90 minutes until the beef is tender and the carrots are cooked through. Serve with buttery creamy mashed potatoes. * To thicken the sauce, blend 3 tbsp of sauce with 2 tbsp flour until completely smooth. Pour back into the casserole and simmer for 10 minutes until thickened. 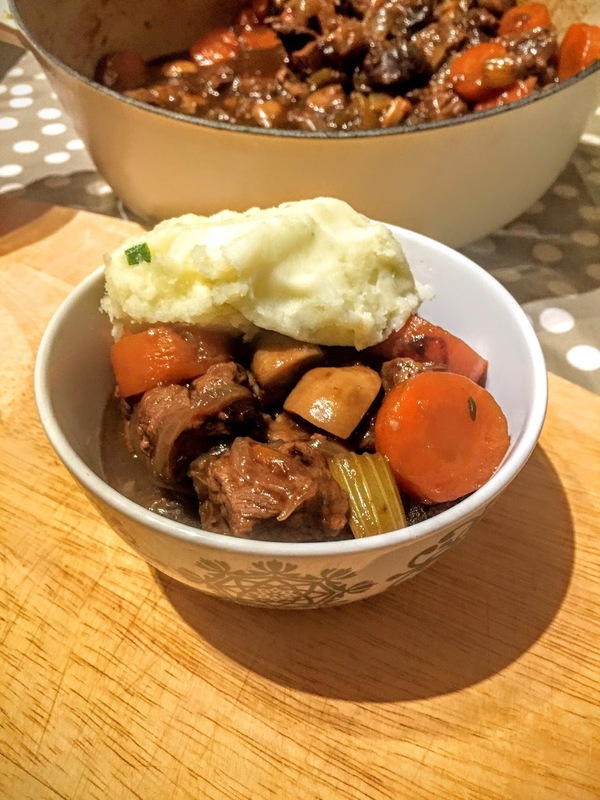 This recipe was created for Simply Beef and Lamb who support both the Red Tractor Mark and the Quality Standard Mark for beef and lamb. 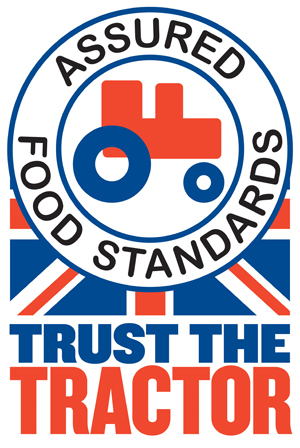 Find out more on their website, look out for #livepeasant on Twitter and why not take the Live Peasant challenge by cooking your own simple, delicious, inexpensive meals. Did you know you can shorten your long links with AdFly and receive dollars from every click on your shortened urls.